Forget about a cap--just click and highlight! 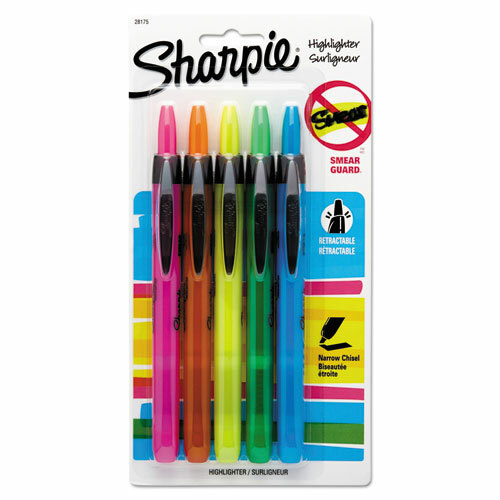 Featuring a convenient design for one-handed operation with no cap to remove or lose, Sharpie Retractable highlighters make it easy to add high visibility to high priority ideas. The highlighters are filled with vivid, high-contrast colors and they have a Safety Seal valve design that helps prevent the ink from drying out.